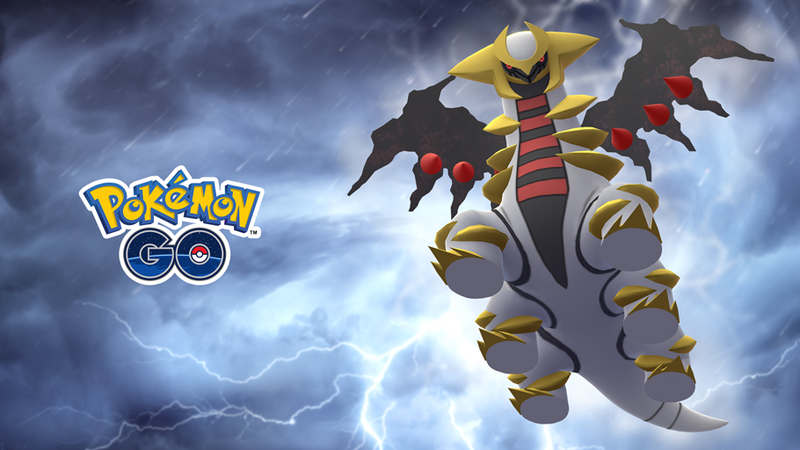 Giratina will appear in Raids starting March 28. The Legendary Pokemon Giratina is returning to Pokemon Go, this time in both of its "formes." The Ghost- and Dragon-type Pokemon previously showed up in Pokemon Go in its Altered Forme, but in the near future, its Origin Forme will make its debut as well. From March 28 at 4 p.m. ET to April 2 at 4 p.m. ET, Giratina in its Altered Forme will appear in Raid battles for players to challenge (and even capture). Once this short time period is up, Giratina will transform into its Origin Forme, which will be available to battle and capture from April 2 at 4 p.m. ET to April 29 at 4 p.m. ET. Giratina is a Gen IV Pokemon, and is part of the “Creation Trio” in Pokemon lore (along with Legendary Pokemon Dialga and Palkia). Giratina’s Origin Forme was featured on the box art for Pokemon Platinum, which was released on Nintendo DS in 2009 in North America. As a reminder, Raid battles take place at in-game Pokemon Gyms, which are attached to places and things like historical buildings, statues, and more in the real-world. They encourage players from all three of the game’s teams to work together to take on powerful foes. In fact, in general, Raid battles are too difficult for players to complete on their own, so they’ll need to team up with friends and/or strangers to take down each challenge. When players successfully defeat a Raid boss, they’ll have the chance to capture the Pokemon and add it to their collection. If you missed out on Giratina the first time it was in Pokemon Go, mark your calendar so you don’t miss out on this new opportunity. For a better look at how to defeat Giratina in battle, check out the Giratina (Altered Forme) and Giratina (Origin Forme) raid counters guides on Pokemon Go Hub.